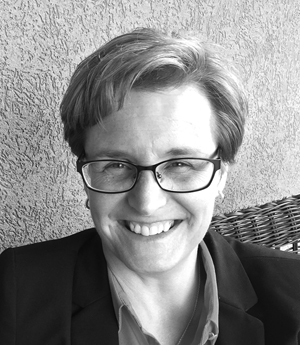 As a woman with a wife and four children, Marian Edmonds Allen understands first-hand the many challenges that continue to face members of the lesbian, gay, bisexual and transgender (LGBT) community, particularly in the conservative and deeply religious state of Utah. Since 2011, Marian, an ordained minister, has spearheaded efforts across the state to transform the hostile culture toward LGBT youth. As the Executive Director of OUTreach Resource Centers, Marian dramatically expanded outreach centers across the state where LGBT youth can access services and supports. Under her inspiring and determined leadership, Marian expanded the number of centers, and developed a template for other organizations across the country to use. Today, 23 such centers, most located in conservative communities, are helping LGBT youth find the resources they need to feel safe and move on in their lives. Marian is community organizer – working collaboratively to build strong, strategic partnerships with state government agencies, school superintendents, domestic violence groups, the faith community, NGOs, service providers and, very importantly, parents of LGBT youth. “Our model,” she says, “is to empower communities. Marian’s new position as the National Program Director for the Family Acceptance Project at San Francisco State University that works to decrease risk and to promote well-being for LGBT children and adolescents, enables her to scale up her work in Utah and nationally, to address the underlying social and environmental issues that contribute to suicide, homelessness and a wide range of other negative outcomes that impact LGBT youth. Each year, approximately 5,000 youth in Utah experience homelessness, with 40% identifying as LGBT. The majority of youth come from conservative religious backgrounds, often having been kicked out of their home for being, or even appearing, gay or transgender. With only one shelter for youth available, many live in abandoned buildings, tents and camps, or on the street. Gay or transgender youth in the state are three times more likely to complete a suicide attempt than straight kids, with 62% of homeless youth having attempted suicide, many more than once.